Ho Chi Minh is a huge city with so much to do. There are great markets, an abundance of history and of course, backpacker parties. A lot of people start their Vietnam holiday by flying into here. It takes about 30 minutes to the city by taxi for about $8. 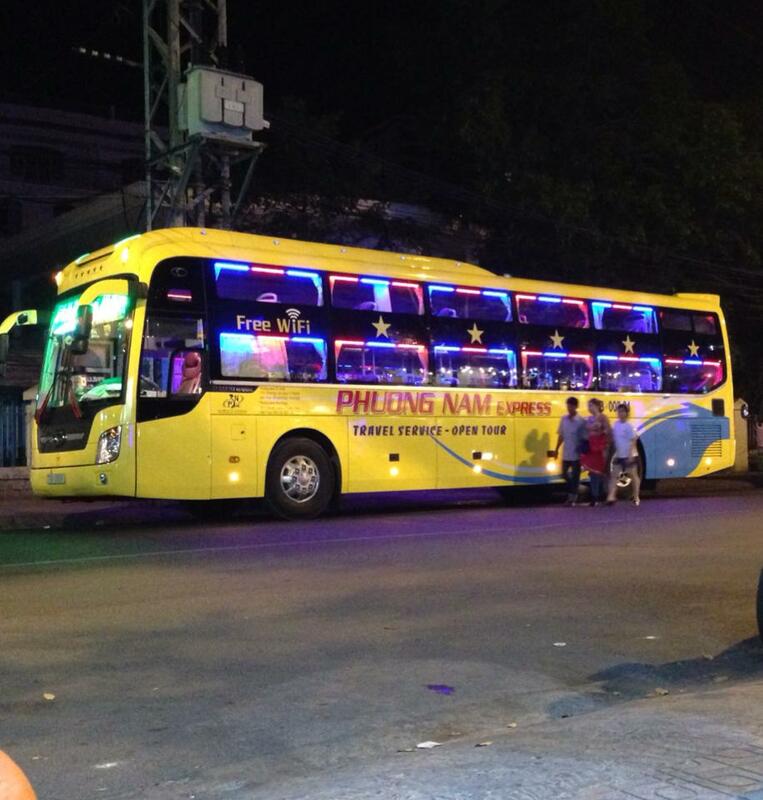 From Nha Trang, take a 10 hour bus for about $12-$18. If you’re coming from Hanoi or Hoi An, you can take a flight with Vietnam’s budget airline Vietjet Air for under AUD100. If you’re a backpacker, stay in District 1 (the backpacker district), as it is the cheapest for accommodation, food and going out. 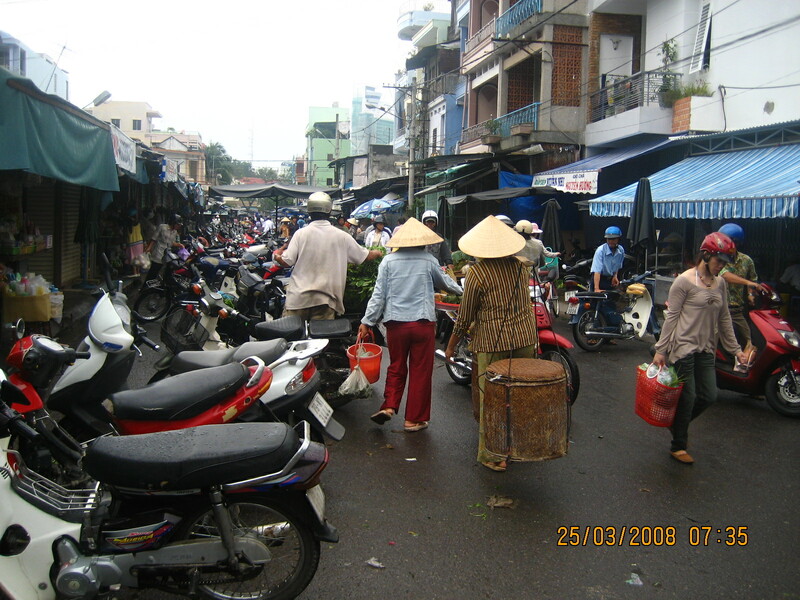 One of the main streets is Bui Vien, and it becomes a pedestrian street on Saturday nights. A lot of hostels are situated down alleyways off this main street. I would be cautious staying in one of these alleyways as they are subject to a lot of pick pocketing, especially if you are wandering down them after a night out or when arriving from the overnight bus. If you are taking the bus make sure you book a place that has 24 hour reception so you can leave your bags and sit in a common area before checking in. For hostels, I would recommend Saigon Backpackers or Saigon Youth Hostel (however the latter is in an alleyway). They are under $10 a night and have very friendly staff who can assist with tours and whatever else. If you are after a cheap but decent hotel, stay at Bizu Hotel. It is in the main street and only $30 for a nice private room, king size bed (which if you’ve ever backpacked is unheard of), bathroom and delicious breakfast. If you want slightly more luxury, A&EM Signature Hotel is lovely. There is a beautiful rooftop pool with a garden bar and delicious buffet breakfast. HCM is full of activities and areas to explore. This is about 40km northwest of the city and can be done in a half or full day trip. The tunnels are an underground community up to 250km in length that were built during the Vietnam war. You can climb through them, however due to their claustrophobic nature not many people make it the whole way. You can organise this through one of the hundreds of tour providers in the streets the day before. This is a fantastic day tour that we really enjoyed (and for only $15). You take a 3 hour bus ride to the river and set sail on an old wooden boat down the Mekong. You can relax in the sun and take in the culture as it cruises past loads of different villages. You stop for lunch at a local restaurant and enjoy a home cooked meal. You have the option to cycle around the village and see what’s around. You are also taken to a market that shows locals making home made deserts and crafts, where I bought a weeks supply of coconut candy! This is a very interesting place to visit in HCM. It was home to the President of South Vietnam during the Vietnam war and was where the war ended. The rooms have been preserved and you can wander around, have a look in and read the information in the rooms. This museum is really informative and interesting. Some sections and photos were confronting, but it is a great museum and only a few dollars to enter. This is walking distance from District 1 (not by lazy standards though). Saigon Skydeck has an incredible observation deck at the top. However the more fun way to check out the view is by visiting the EON51 bar on Levels 50-52. It is about hte same price to buy a drink here than paying admission to the Skydeck. This is a short walk from the main backpacker street and has absolutely everything you could never think you would want to buy. I got a hammock (has been incredibly useful), shorts, bikinis and a whole bunch of other knick knacks that I swear I don’t regret buying… It’s dirt cheap and humongous, so allow a few hours to get lost! This is a beautiful old building that still operates as the HCM Post Office. You can do tours inside the building of its history. I spent a whole afternoon wandering down the river and weaving through the alleyways, and found all sorts of intriguing people, scenes and shops. This is a great way to just observe what goes on in the crazy city. The backpacker nightlife is really interesting, in that there aren’t the signature bars filled with young travelers like every other Vietnamese town; instead there are cafes. On the main street of Bui Vien a lot of the cafes turn into bars by 9pm and they set up plastic red stools that quickly sprawl onto the street with backpackers as the night progresses. This seems to be where everyone gathers and is a cheap night out. I would recommend allowing three full days to discover all the city has to offer. There are a lot of day trips which consume the whole day and you also want time to explore the streets and local markets. This entry was posted in Asia, Vietnam and tagged cheap luxury hotel, day tours, Ho Chi Minh, markets, Mekong Delta, Vietnam. Bookmark the permalink.